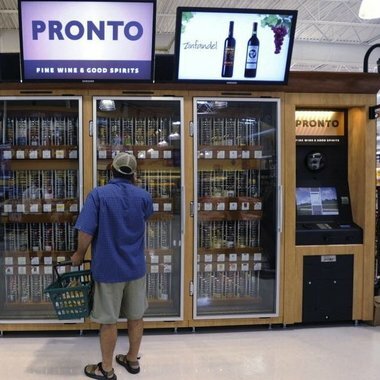 Title... : "canceling an agreement to sell wine through automated kiosks"
Wegmans Food Markets Inc. is canceling an agreement to sell wine through automated kiosks at 10 of its stores. Wegmans said operational issues with the machines over the holidays, as well as low customer acceptance, complaints and lack of sales, led to their decision to remove the kiosks in about 30 days. Despite the company"s decision, 22 other wine vending kiosks will remain in operation in Pennsylvania, with another 24 potential locations at Wal-Mart stores. Readers discussed bigger issues surrounding the kiosks with the news broke Thursday. "I will never ever use one of these kiosks, because to do so would be to support a monopolistic, archaic system of liquor control that is NOT what the majority of this state"s residents want and DESERVE. I hope they all get pulled and that sends a message to the PLCB that we"re mad as heck and we"re not gonna take it anymore!" What do you think? Are you glad or sad to see the kiosks kicked to the curb? Is this a symbol of other issues?